Sold out? 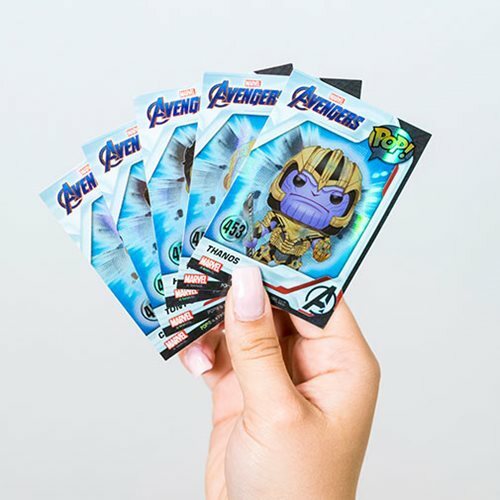 Get the regular Avengers: Endgame Thanos Pop! Vinyl Figure without cards here! Sold separately. 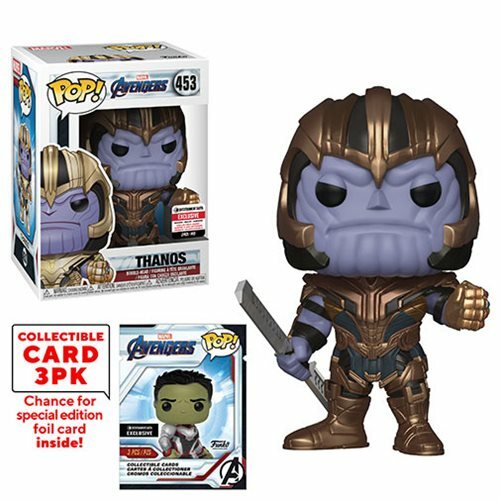 Set includes a Thanos Pop! Vinyl figure and 3 randomly selected, limited edition cards. Hunt and collect the rare holographic chase cards! The conclusion of the last 11 years of the Marvel Cinematic Universe, Marvel's Avengers: Endgame, brings a team up of the extensive cast of characters from all corners of the MCU, including Thanos, the single fiercest foe the Avengers have ever known! This amazing Avengers: Endgame Thanos Pop! Vinyl Figure comes with his iconic helmet and imposing battle armor. He measures approximately 3 3/4-inches tall and is packaged in a window display box. The Mad Titan by himself is great, but guess what - there's more! 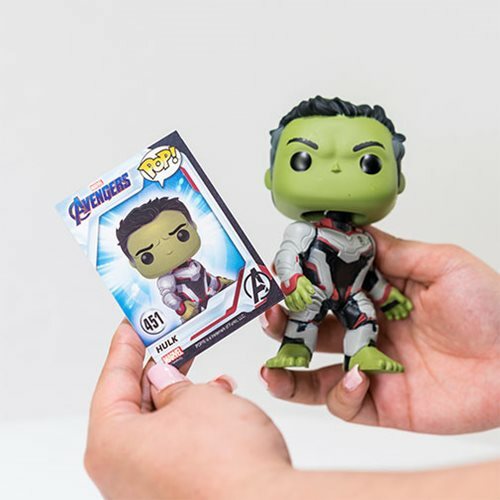 Available only at Entertainment Earth, the Avengers: Endgame Pop! 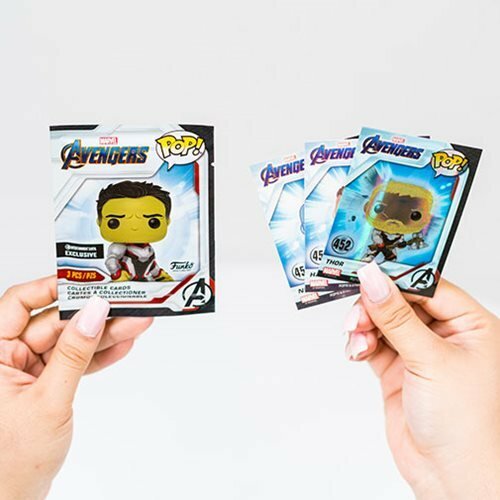 Vinyl Figure also includes a limited edition foil pack of 3 collectible trading cards inside the Pop! box. Complete your set by assembling the entire team and the rare holographic chase versions of certain characters!